Also known as a Beaver, Bell Topper, Golgotha, Silk Hat, and a Stove Pipe. After the 1850's, smaller versions were popular and often called chimneypots. They were introduced during the late 18th century and very popular in the mid 19th century. Today the Top Hat is worn for the most formal of occasions. Since the seventeenth century, women have had a similar style although smaller than the traditional men's top hat. Horsemen and women traditionally wore one for the hunt during the 18th and 19th century. 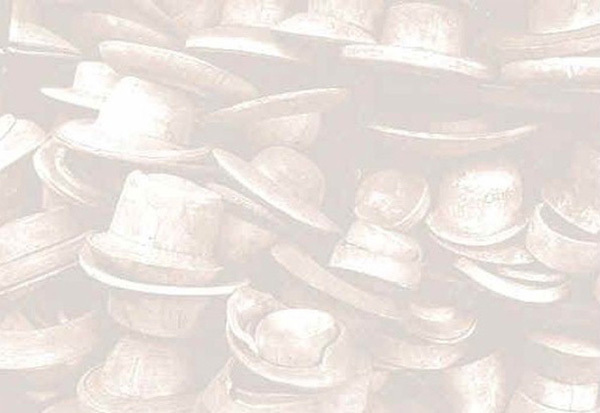 Although typically made in black or gray, top hats of white and gray blue can be worn. Our research has shown that the brims for the top hat vary greatly. Some are flipped down, some are flat and most are slightly flipped up. 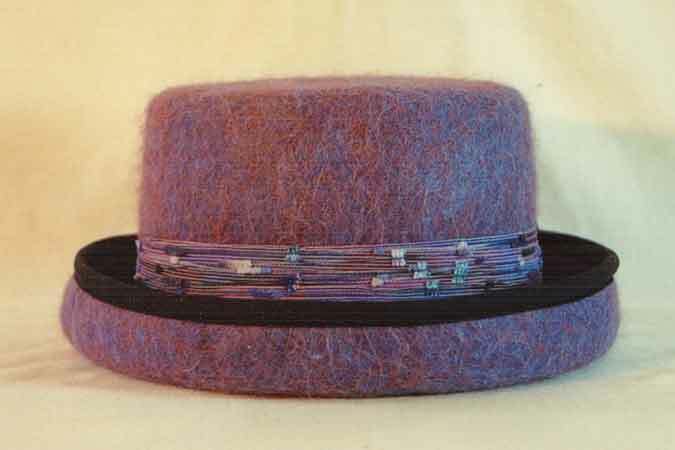 Top Hats have had an appeal across the centuries encompassing the royals, the rich, the prestidigitators, the horse people, actors and actresses, dancers, and singers and politicians and philanthropists. 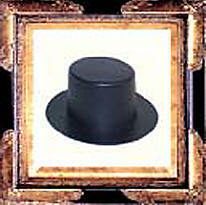 One can even occasionally see a teenager declaring his uniqueness wearing a top hat. Circumference is measured on the outside of the crown.